Indian hockey captain P.R. Sreejesh called his team “favourites” for the Asian Games gold medal, and said that their aim is to secure an early qualification to the 2020 Tokyo Olympics. India finished runners-up to Australia in the elite Champions Trophy in the Netherlands that saw the team jump one place to fifth in the world rankings. If Sreejesh's team defends the title in Jakarta, it will book an early berth for the 2020 Tokyo Games. “For us, the target is to win a gold and qualify for the 2020 Tokyo Olympics, nothing less than that. Then we will get two years to prepare for the Olympics. And going by the current form of the team, we can win gold in Jakarta. We are the favourites to win the gold,” Sreejesh told PTI in an interaction. “We have done well in the Champions Trophy and we could have won the tournament. Confidence level of the team is very high. I would say this (confidence) is a huge change in the last few years. Now, we don't fear of playing against any team in the world,” he added. For coach Harinder Singh, who took charge a few months back, a title in Jakarta would enter into record books as India have never won back-to-back gold in the continental showpiece. “We want to create a legacy of winning gold in two consecutive Asian Games and this team can defend the title this time. A gold in Jakarta will also build up a nice momentum for a podium finish in the World Cup India is hosting later this year,” said Harinder. 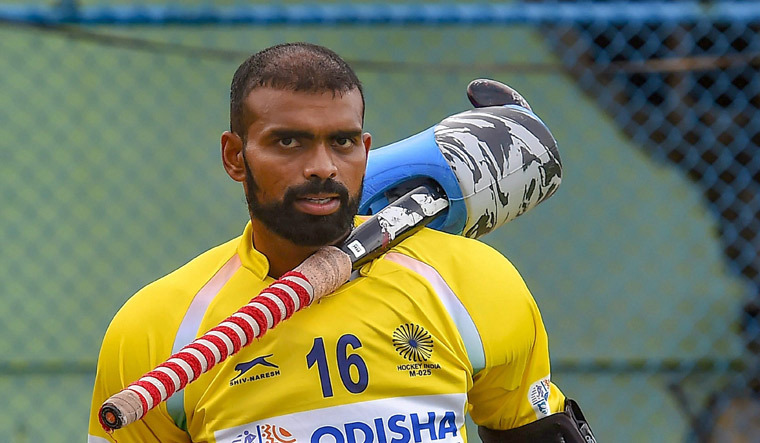 With the return of drag-flicker Rupinder Pal Singh, the Indian team at the Asian Games has been strengthened with virtually all the top players present, and Sreejesh feels it has the perfect balance. “Yes, it is a compact and balanced team. Sardar Singh is there in the team from the Champions Trophy onwards and Rupinder has returned for the Asian Games. On an average, all the players have played more than 100 matches. Just two or three players have played around 20-30 matches,” said the seasoned goalkeeper. Sreejesh admitted that India needed improvement in penalty corner conversion, but more than that, he would want the team to score more goals by converting the chances. “We are trying to improve the rate of penalty corner conversion. But more than that our main concern is to score more goals. We would want to score goals first and maintained the lead and keep a comfort level. Harinder also agreed that penalty corner conversion rate was not up to the mark and the team was working on that aspect of the game. “The rate of penalty corner conversion was poor in the Commonwealth Games and Champions Trophy but we have done well in the recent matches against New Zealand and South Korea. We need improvement and we are working on that,” he said.